Operation shed 5 stone: I'll have the shiniest! Really quick post, mostly because I'm too lazy to write about the day and also because it was only interested to Anne and I! 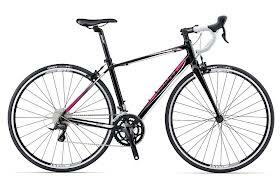 After a day up at Giant store at Rutland with Anne, I have chosen my bike! Tadaaaaaaa!! After advice from Paul (the shop guy) we are going up on 22nd to take them out for a test ride, then will get measured and get the bike set up and bring it home. Now I just need to find a name! I am totally in love with my new bike!